PROBLEM: Excess water around the home cracks and damages the foundation and basement walls. 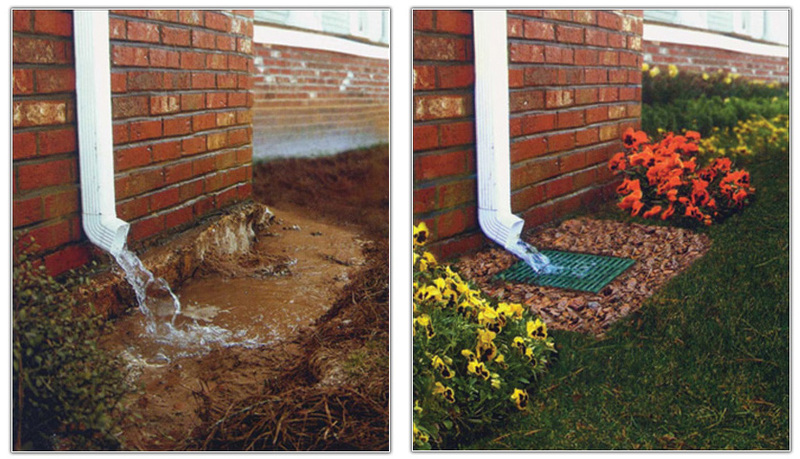 Solution: Catch basins and grates remove water from down spouts to protect your home’s foundation and basement walls. 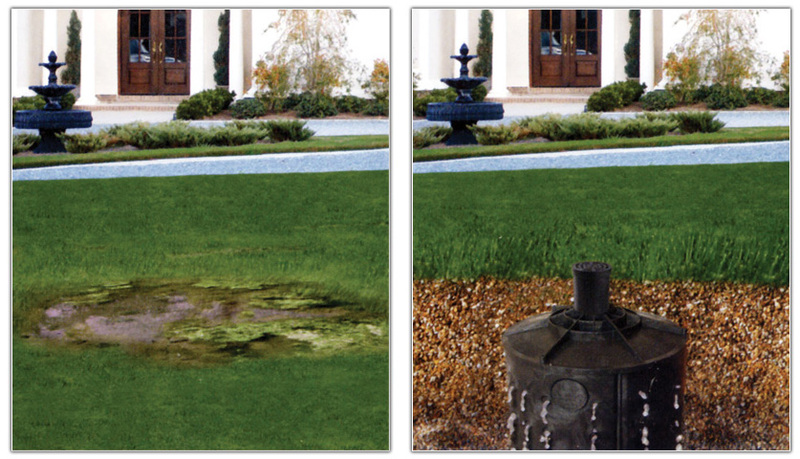 PROBLEM: Excess water can drown evergreens, flowers, and other sensitive plants, destroying your landscape investment. 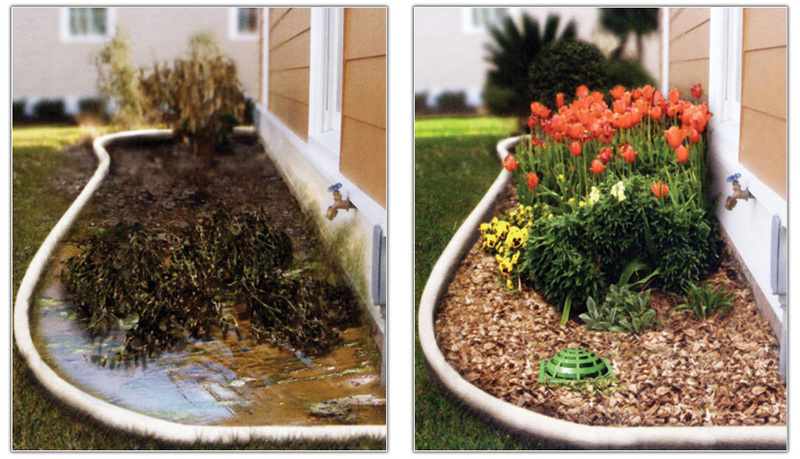 Solution: Catch basins and atrium grates remove excess water to protect plant root systems from over water and rot. PROBLEM: Puddles in the yard create muddy feet for pets and guests, tracking debris into your home. Puddles are also breeding areas for mosquitoes and other insects. Solution: Catch basins and grates can be used in low areas of landscaping to eliminate puddles and mud. 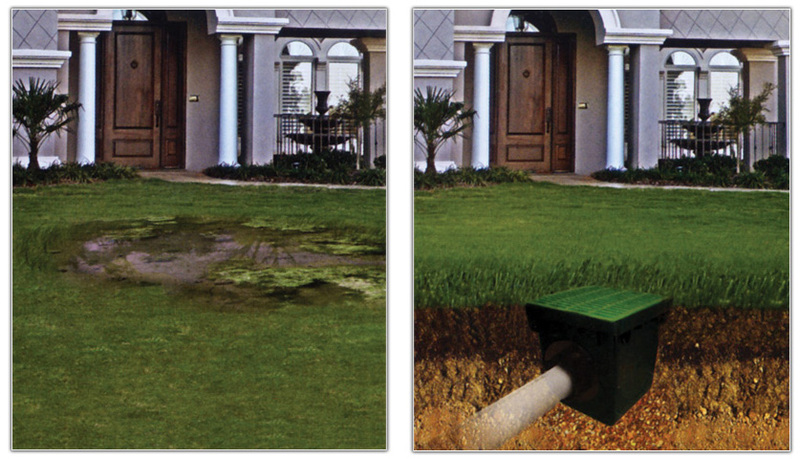 Solution: Flo-well eliminates puddles and and mud by safely infiltrating the water into the ground. Lower installation cost since Flo-Well requires less trenching. PROBLEM: Water from the driveway enters into your garage. Water creates a slippery walkway area. Solution: Channel drains and grates: Remove sheets of water moving across driveways and sidewalks. 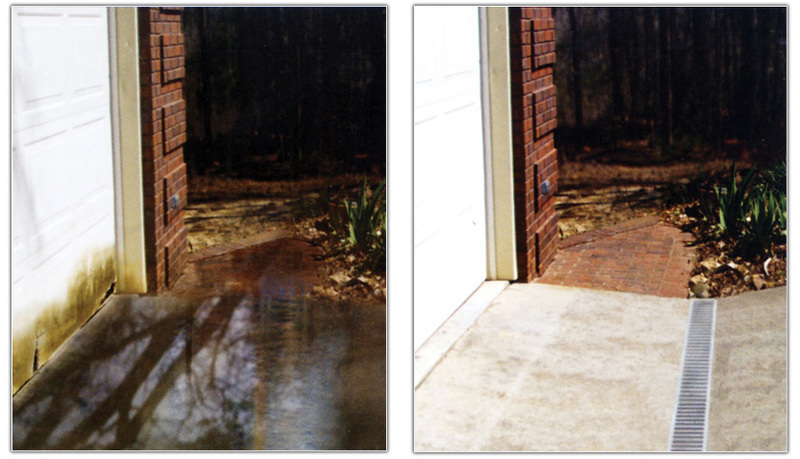 Prevent water from entering the garage or foundation areas. PROBLEM: Water from the backyard enters your home. Water creates a slippery walkway area. 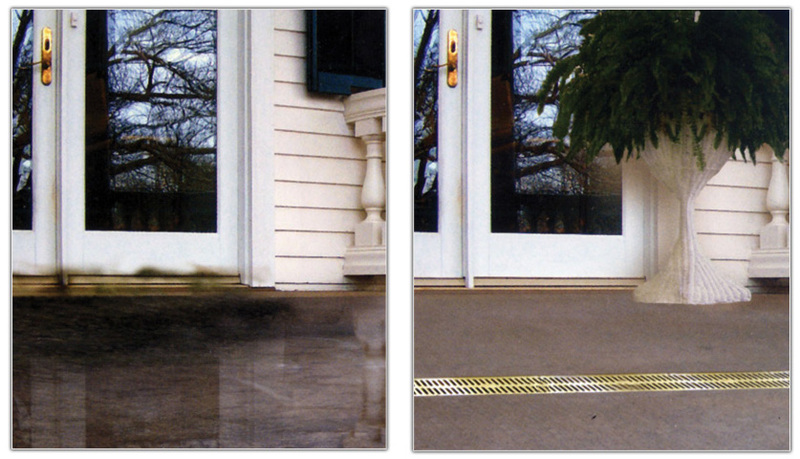 Solution: Channel drains and grates: Remove sheets of water moving across patios and backyards. Prevent water from entering your home.